I still don’t know what this bugger is. A shrub, perhaps to 1 m tall, growing in coastal feynbos near the entrance to De Hoop Nature Reserve, Western Cape, South Africa, at the coordinates indicated on the map. The leafy flowering branches radiate from the tips of woody, leafless branches that reach to the ground… Possibly (probably?) 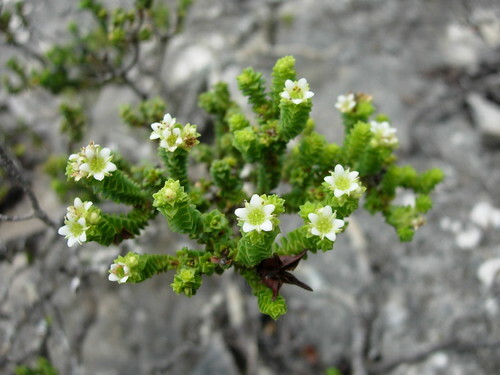 a species of Diosma (Rutaceae).